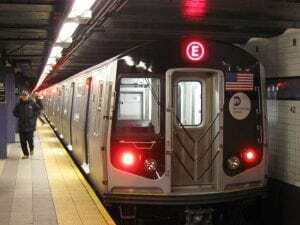 New York City, NY (October 5, 2018) – A teenager who ran into a NYC subway tunnel was tragically struck and killed by a train on Wednesday, October 4, according to officials. Police witnessed the 18-year-old boy leap onto the tracks from the platform at the Bergen Street/Flatbush Avenue station in Brooklyn. The incident was reported to have occurred shortly before midnight at around 11:50 p.m. The boy ran through the tunnel southbound at which point the police lost track of him as they remained on the platform. The police were soon notified of someone being struck by a train at the Atlantic Avenue/Barclays Center Stop, according to authorities. The train had struck and killed the teen who was pronounced dead at the scene. The identity of the victim remained unreleased as authorities looked to notify his family. No further details have been provided at this time, and authorities are currently conducting an investigation into this tragic accident. Above and beyond all else, we would first like to offer our deepest condolences and most heartfelt thoughts and prayers to the loved ones of the deceased during this devastating time. It is now vital to understand that as the family members of a victim, you may have the right to be compensated for your loss following any such tragic accident. A train accident in New York can happen at any time for a wide variety of reasons. Whether it be the operator of the train, other people or police in pursuit of the victim, or any other person or entity who acts irresponsibly, you may have the right to seek legal action. A knowledgeable and compassionate New York accident attorney can answer your questions and may be able to help obtain compensation for your loss. At Hach & Rose, we recognize the devastation that comes from the sudden loss of a loved one, as well as the pain and suffering that negligent individuals and entities inflict on their victims. We are passionate about assisting victims and their families in their time of need, so if you have lost a loved because of the negligent actions of someone else, please call us at 212-779-0057 today.